During one of my walks around the city, with camera in hand, I walked into a store that unfortunately no longer exists. Among other things, it caught my attention these colorful shelves. 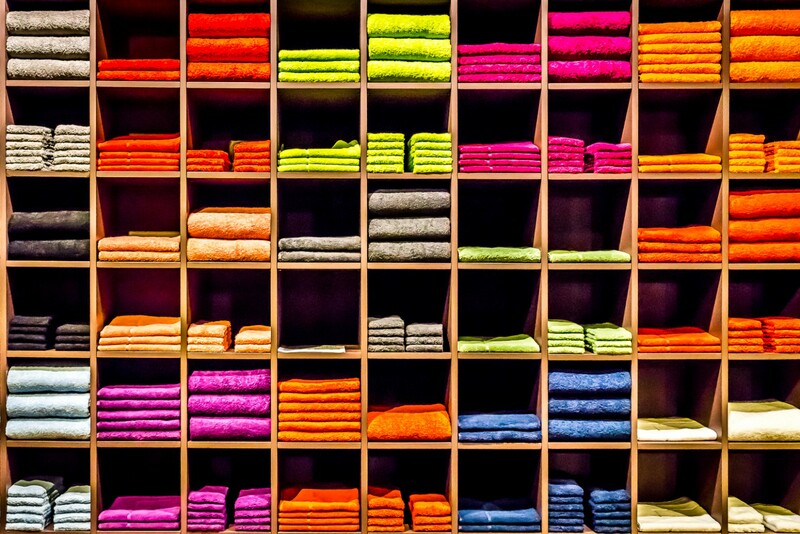 Dozens of towels of different colors, all correctly positioned. I think here are really plenty of spare towels. I’ve always been interested in geometrically distributed collections of objects and I thought these shelves well deserved a photo. Thank you Lee, I’m glad you like it!! Very conceptual photo. Appropriate for this week’s challenge. Thank you Sayanti, I’m glad you like it!! LOL, spare towels – didn’t think of that. Love your colorful shot. The colorful and the geometry of the picture also catch my attention. What a wonderful choice for this week’s theme! Thank you Sandra for stopping by and commenting.!! I think that I had a bit of luck, I also think that this photo was going perfectly in the theme of the week. Another ripper. Great f stop choice and control of the vertical and horizontal elements. Another ripper. Great f stop choice and control of the vertical and horizontal lines. I really admire people who can wing to have everything so neat. Thank you arv!, I’m glad you like it!! I just joined WordPress last night and this is the first blog to catch my eye. It’s simply beautiful. Beautiful and matches my interest also.. haha.. I love the symmetry in this!